I am happy to share with you all that my jewelry is now being displayed and sold in a boutique in Ocala, FL. 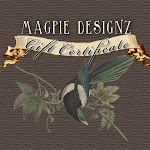 I was contacted by the shop owner, Mary Anne about showcasing my necklaces in her shop. It is a baby boutique with fancy baby decor, clothing, photography and so on. Now my "shiny objects" will be seen in FL, along with many other states and countries, thanks to etsy.com. I am excited about this new avenue of marketing and look forward to where it will lead. Meanwhile, sales on Etsy.com continue to climb too.... my days are filling up quickly! Check out my jewels on her website!! Go to http://www.blakelyhouse.com/index2.php?v=v1 and click on "What's NEW!" and you will see my necklaces. Yay!